When I first wrote about the Pajama Trend I knew I was dying to try it – I mean, going out in your pj and look that good, for real? What a dream. But I never found THE right one. So I never got to style that trend. That is, of course, until now. When the opportunity to collaborate with Silk By Nancy came I knew right away I had to choose this white pj shirt. It was the missing luxurious monochromatic piece I was looking for to rock the PJ trend. The title says it all: this silk beauty is the perfect fit. I´m not going to lie, it was hard styling this shirt. I blame the crazy amount of outfit options I came up with. Everything from culottes to palazzo pants and pleated skirts. Sneakers and stilettos. That´s why – SPOILER ALERT – this is not the last time you´ll be seeing this shirt around here. Allow me to be your guide on “How To Style The PJ trend – round 2” and reveal the secrets you need to know to go out in public wearing your pj´s. As a monochrome lover, I felt like I owed to the monochromatic Gods this first look. I went for high waist mom jeans to give the edgy touch and contrast with the classy shirt. The pumps are my all time favorite (bought them using a wedding as an excuse) and the only pop of color that this outfit needed. Besides from the lipstick (always add lipstick. Makes everything better). And because I always need to have a bit of print, a starry scarf. In a world where you can´t walk down the street without finding someone wearing something that you also have (or worst, that you are wearing), brands like Silk By Nancy make you feel unique again. For someone who is slowly building a wardrobe with quality pieces, I must confess: a silk piece is a must have. Too soft, too luxurious, too stylish. Make sure you stop by and check their variety of silk pieces. Aw, don´t I look happy wearing my pj shirt? 🙂 How about you, what´s your relation with this Pj trend and silk luxurious pieces? This post was made in collaboration with Silk By Nancy. All opinions are my own. love this trend so much, but I’ve also never tried the whole look( you look stunning btw! I love this blouse! And I totally agree-I am a fan of the pajama trend!! I love how you styled this, definitely giving me inspo to try this look out myself! Hello dear Kathryn! Is there a better trend? 😛 Thank you for stopping by! Have a wonderful day! 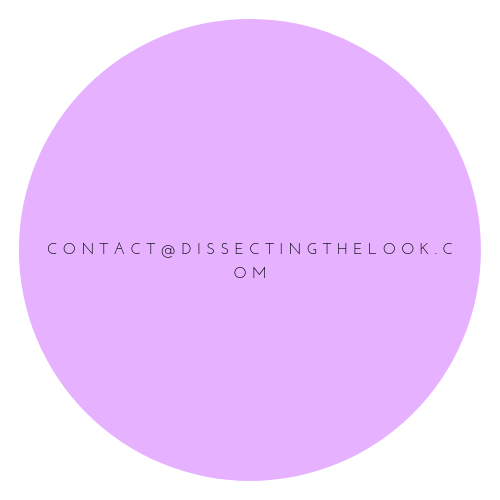 Click to follow Dissectin The Look and receive the latest trends on your e-mail. No spam, I promise.